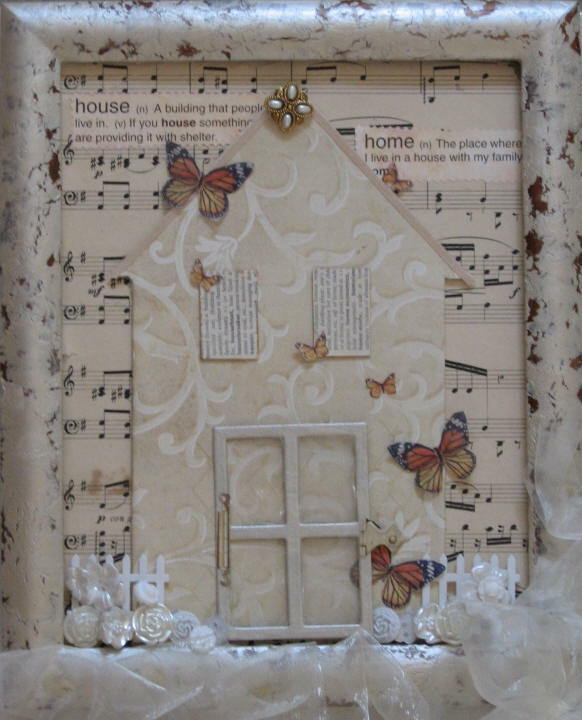 The background paper is sheet music and the windows are trimmed up with dictionary pages for the words house & home. Butterflies are cut from a cosmetic tissue. 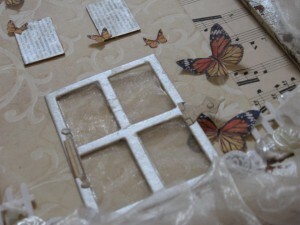 The screen door was backed with organza ribbon. Almost running out of flower shaped buttons, if anyone has some they would like to share, drop us an email to propose a swap. This is a most beautiful interpretation. Very dreamy and delicate. I have so enjoyed my catch-up reading your blog Mandy – as usual you have shared some beautiful creations . . . I just love this little house though – the butterflies are a lovely addition! What a pleasure to have you stop by my blog and leave a lovely comment. 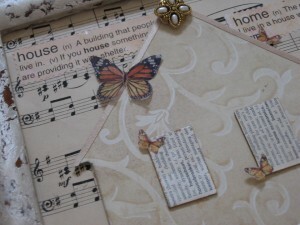 I have just thoroughly enjoyed visiting yours…the quotations you choose are so inspiring and your artwork is gorgeous! 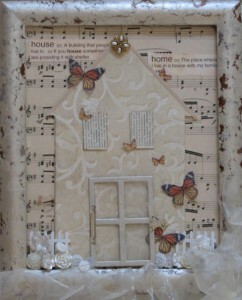 This shadowbox is so delicate and intricate!